A student majoring or minoring in Theater Arts will receive a Bachelor's Degree in the general Theater Arts. At this time, the Department does not have any official concentrations, with the exception of the Dance Minor. 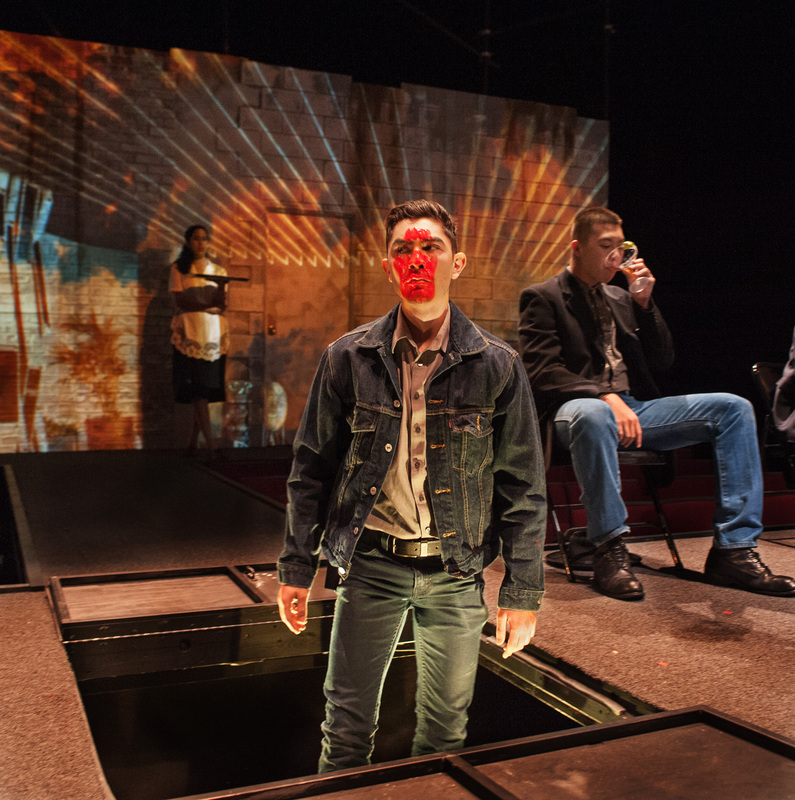 Some students do choose to focus their studies towards developing their skills in a particular aspect or aspects of theater, utilizing the UCSC Theater Arts curriculum and opportunities. If you are considering such a path for your own undergraduate studies, we encourage you to consult with the Undergraduate Advisor to determine which opportunities are available and when, and to plan out your courses. If you are a playwright, or a student interested in developing themselves as a playwright, the UCSC Theater Arts Department has a set of classes and a number of unique opportunities to offer. THEA 157 - Playwriting. An introductory level lecture course open to all students at UCSC. Students complete written assignments, mostly in the form of short scenes, structured around compartmentalized aspects of script and plays: plot, character, dialogue, stage direction, subtext, etc. Students can volunteer to have their scenes performed in the class, and receive instructor and group critique to develop their skills and explore the concepts. This course is offered once a year, and is a pre-requisite for the Advanced Playwriting course. It also fulfills the upper-division studio requirement for the Theater Arts Major and Minor. As this course also satisfies the "W" General Education requirement for all students, as well as fulfilling a requirement for the Game Design major, this is a very popular course and fills up quickly. As the Department cannot guarantee enrollment or priority to Theater Arts majors or minors, it is recommended a student interested in playwriting make this course a priority for enrollment in their undergraduate plan. Select years the department has also been able to offer this course during Summer, but is not able to guarantee availability or enrollment. Please contact the Theater Arts Department, and consult with the Undergraduate advisor for the upcoming schedule for the course. THEA 159 - Advanced Playwriting. A limited-enrollment studio course, where through instructor supervision and group critique, a student goes through the process of developing a first draft of a full-length play. Enrollment is limited to students who have previously taken THEA 157, or can demonstrate an equivalency, at the instructor's discretion, through alternative courses or submitted work samples. This course is kept small, to better facilitate the studio model of instruction. This course is offered once a year, and fills up quickly, so please plan ahead. THEA 161 - The 161 series offers 1-3 courses per year focusing on specific movements or themes in historical or contemporary performance, or on specific geographic and temporal theatrical eras and cultures. These courses examine the work of influential playwrights and artists within their scope, as well as the structure and common elements found throughout the theatrical or performative form, and how they contrast or compare to contemporary and "classical" theater as we know it. Courses have included Irish Theater, Yiddish Theater, Chicano/a Theater, Women in Theater, Asian Theater, Queer Theater, Performance of Story, and more. These courses fulfill the upper-division critical studies requirement for the Theater Arts Major and Minor. THEA 163 - The 163 series offers 1-3 courses per year focusing on the work of individual playwrights, that have included Ibsen, Chekov, Artaud, Shakespeare, and more. These courses examine the life of the playwright, as well as the individual plays, and discuss the common structure and themes to the works. These courses fulfill the upper-division critical studies requirement for the Theater Arts Major and Minor.